When I was asked to pick out my top 20 photos from this past cross-country season, my first thought was no problem. Then I realized I shot nearly 25,000 photos during this season… yes twenty-five thousand, and yes, they are all available through az.milesplit.com. So, the task became a little more daunting. What to choose, do I base on who is photographed? How others reacted to the photos? How the runners placed? In the end, how the photos spoke to me about what happened during the season. In no particular order, here are my top 20 photographs taken during the 2018 cross country season. Determination to the End -- Sometimes it's not the first runners to finish who are the true inspiration, sometimes it's the last. 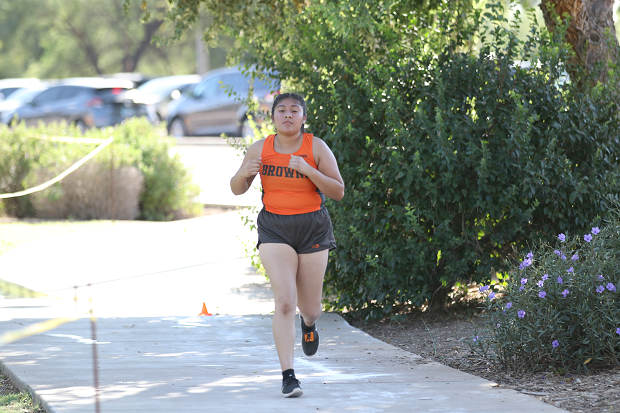 Those who know they are not going to win or place, but are bound and determined to finish the race, as this runner from Trevor G. Browne during the Chandler Invitational.